Did you know 56% of teens admit to talking on the phone while driving? Did you know 16-year-olds have higher crash rates than drivers of any other age? “Can I drive?” may not be a phrase you are ready to hear when your teenager is old enough to get his or her driver’s permit. In fact, it may be difficult to come to terms with the fact that your child who was once buckled up in a car seat is now old enough to be behind the wheel. The reality is that your baby is no longer a baby anymore and is suddenly tasked with the big responsibility of being a driver, all while you are thrown from the driver’s seat to the passenger’s seat. Learning how to adjust to this rite of passage is simultaneously exciting and scary for both of you. In order for a teen to successfully and safely learn how to drive, parents have to let go of the wheel and practice patience, trust and cooperation, according to Kim Estes, child safety expert and founder of Savvy Parents Safe Kids. It is likely your teen has access to a driver’s education course within the community or at school. However, driving is a hands-on activity and your child needs your guidance. Before backing out of the driveway, have a discussion with your teen about her concerns about driving, recommends Estes. While reviewing your state’s road rules, such as speed limits, intersection protocols and phone usage guidelines, you have the opportunity to sharpen your own driving knowledge and educate your teen. Talk to your teen about driving situations while you are experiencing them, says Estes. “As you are about to change lanes, talk to your teen about the three things you should do before changing lanes,” she says. Whether you realize it or not, your teen is watching your every move. Set the example as a safe driver to not only educate your child but also improve your own driving abilities. “Don’t do things while driving that you don’t want your children to do, such as texting, driving aggressive or running yellow lights,” says Estes. It may also help your teen learn if you encourage him or her to observe, offer suggestions and ask questions about your driving. Don’t be defensive during the process, though, advises Estes. “If your driving relationship with each other has more of a collaborative feel to it, the more likely your teen is to follow your lead, ask questions and hopefully take less driving risks,” she says. Even though driving with your teen may make you nervous or anxious, it’s important to calm your own emotions so you don’t inadvertently transfer those feelings to your child while she’s driving. Keep criticism to a minimum, too. Instead of shouting “you are going too fast,” ask your teen open-ended questions, such as “Can you tell me what the posted speed limit is in this area?” A sharp or sarcastic tone may belittle your teen, who is most likely doing her best to obey the law and improve her skills. If nervousness takes over, Estes suggests asking a trusted friend or family member to take your teen driving at first. “This helped me ease up a little since I knew it was not her actual first time behind the wheel,” she says. If you are concerned about your teen’s ability to navigate complex intersections or highways while driving, take it slow. Take the road less traveled the first few times to help calm both of you. For over a decade I have been helping parents with struggling teens after my own challenges with my teenager. Back in the time when the Internet was in its’ infancy, there wasn’t a lot of information to be out here yet. Now it seems there are literally thousands, if not millions of sites and bloggers with every click of a mouse. With this, I am so flattered and honored to be selected in the list of of top 20 blogs and websites, not only once, but for two of my sites. Two of my blog sites, http://www.parentempowerment.blogspot.com and http://www.suescheffblog.com which I created only several years ago, made the cut! I want to personally thank the team at Wilderness Ventures for believing in my work and understanding my passion for what I do. Here is there recent press release as well as the other top sites and blogs that are all tremendous!!! 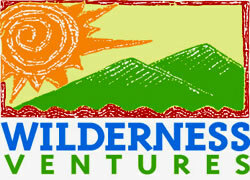 Wilderness Ventures, the oldest and most experienced adventure travel program offering teen summer camps, is announcing their choices for the “Top 20 Blogs and Websites for Parents with Teens” for 2013. The blogs and websites selected by Wilderness Ventures are being honored for their innovative and creative content as well as their ability to offer parents and teens a personal connection and invaluable virtual resources. 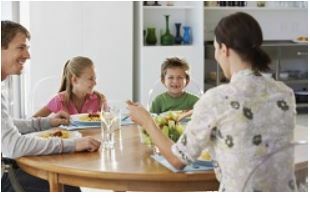 Team members at Wilderness Ventures scoured the web to find bloggers that demonstrated practicality, creativity, personal engagement and fun in their blog while offering unique perspectives on being a parent of young children or teenagers. Criteria such as design, helpful tips and pointers, level of engagement, number of followers, and more, were factored into the final selection process. Wilderness Ventures, who has offered teen adventure camps for more than 40 years, believes that active personal engagement and communication between parents and their teenage children are important factors for parents whose job is to teach the next generation of young adults. For this reason, Wilderness Ventures is choosing to recognize blogs and websites that they feel promote interpersonal connection between teens and their parents as well as shared resources between parents. With more than 21,000 student alumni, Wilderness Ventures has pioneered outdoor adventures for young adults and has paved the way for youth travel around the world. Their 40 years of experience, unwavering values of community, inter-personal growth, wholesome environments, safety, wilderness education, discovery, conservation, and exploration have led to their unmatched and trusted reputation. Wilderness Ventures currently holds special permits to operate their teen adventure camps in 20 National Parks and 17 designated wilderness areas with special permits.